A native of Boston's South Shore, Sharon attended Roger Williams University School of Law where she earned a number of academic awards. After receiving her J.D. from Roger Williams University, Sharon served as a judicial law clerk for the Massachusetts Probate and Family Court for two years before starting her career as a civil litigator. 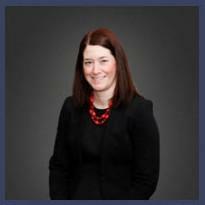 As a civil litigator, Sharon has over 12 years of experience representing clients before the Massachusetts and Connecticut State and Federal courts. Sharon's experience encompasses a broad range of practice areas; however, her current focus is the defense of civil claims, including premises liability, malpractice, negligence, breach of special duty, and product liability claims. Sharon utilizes mediation, arbitration and other types of dispute resolution when appropriate for her clients' needs.